When Didik was a baby, he went through something awful — a poacher shot and killed his mom, and also lodged a bullet in Didik’s shoulder. 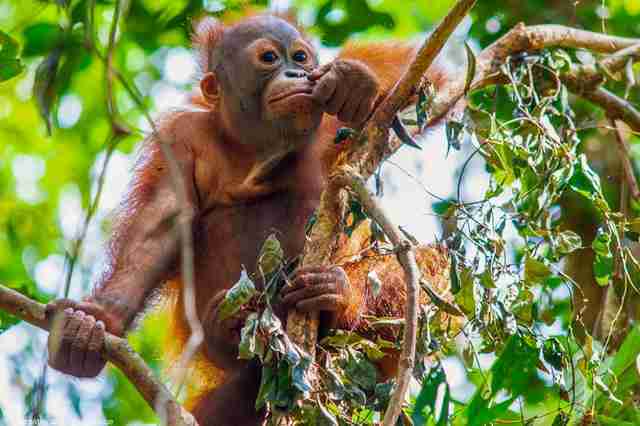 The baby orangutan ended up on the forest floor, alone and defenseless, which enabled the poacher to capture him and sell him as a pet in West Borneo in Indonesia. 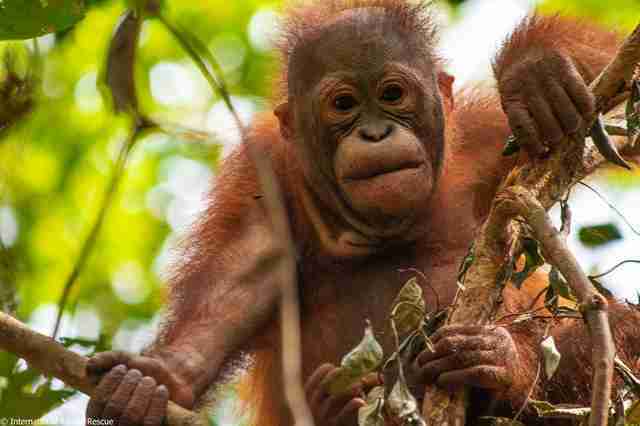 Keeping orangutans as pets is illegal in Indonesia, and Didik's new owner didn’t know how to care for him. As a result, Didik became weak and sick — and the bullet wound on his shoulder was never treated. The owner ended up abandoning Didik in a shop. Not long after that, he was picked up by the local forestry department, which got in touch with International Animal Rescue (IAR). 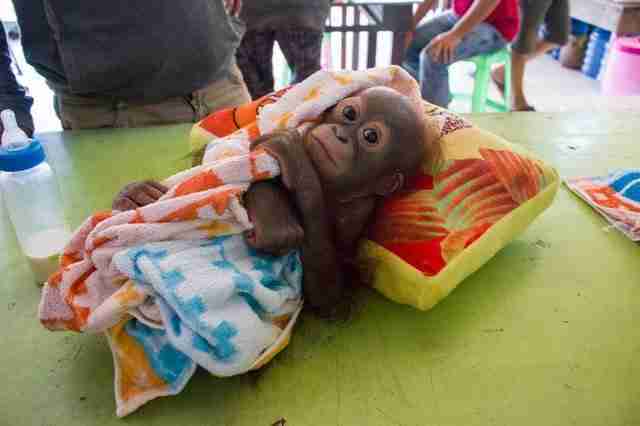 Then Didik went to IAR’s rehabilitation center, where he has remained ever since. Didik was sad and depressed at first, which is understandable after what he went through. But with each passing day, he got better and better. The IAR team also managed to remove the bullet from Didik’s shoulder, and his wound healed nicely. 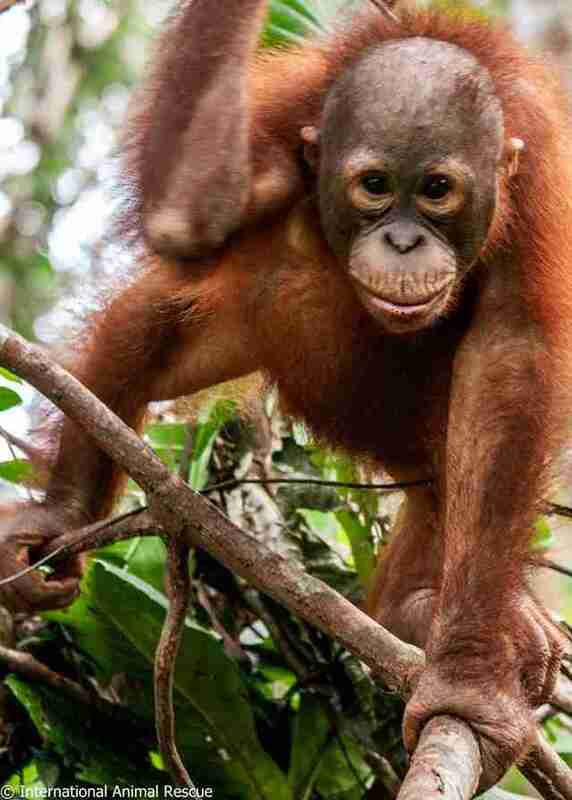 Now, more than two years later, Didik is a completely different orangutan. The IAR team is delighted by Didik’s progress, but they’re not overly surprised by how well he’s doing. 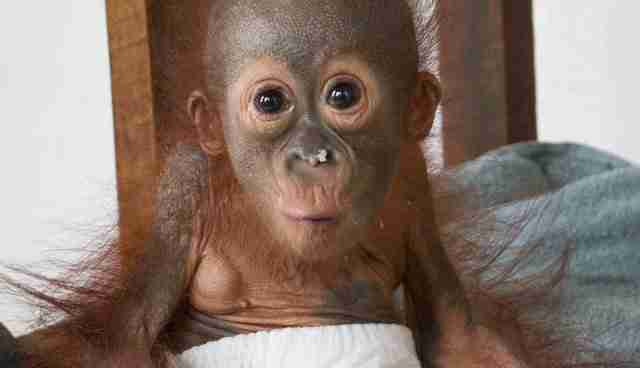 Didik, who is now 3 years old, will remain at the IAR center for several more years. “In the wild, he would stay with his mother until the age of 6 or 7 years old, so he still has much to learn about being an orangutan before he can be considered for release,” Key said. But eventually, Didik will be returned to the forest — where he belongs. 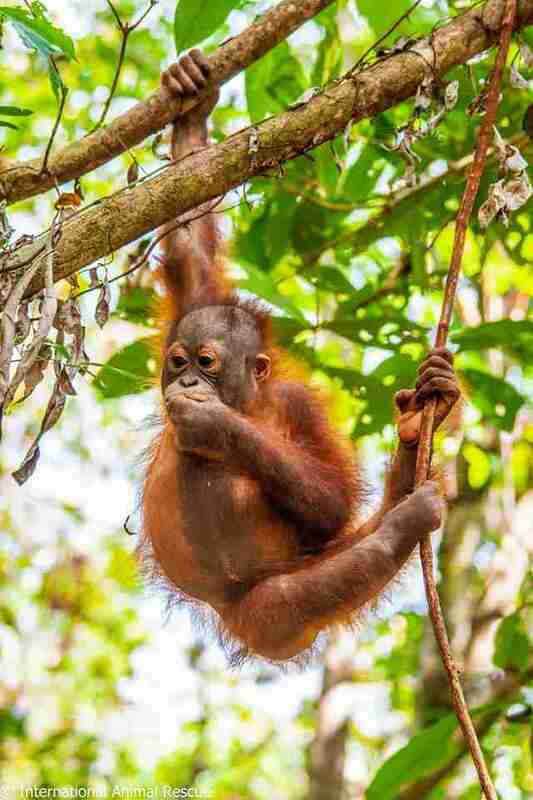 To help Didik and other rescued orangutans get back into the forest, you can make a donation to IAR.